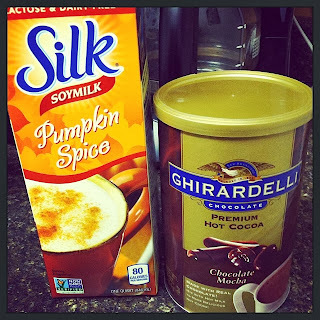 I'm not a fan of hot chocolate mixes, they are usually filled with dried milk, sugar, and just things I don't want to put in my body. Luckily Ghirardelli makes a brand that has as few ingredients as possible. The best thing about it is, that it actually tastes like CHOCOLATE, not sugar. 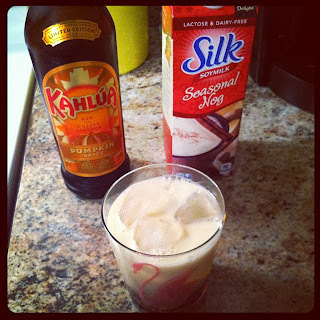 The fine folks at Silk make the best seasonal beverages. Pumpkin spice, along with the Nog (my favorite nog EVER), and the mint chocolate are so good and I use them to flavor my coffees, steam to make an easy yummy hot drink, or as in the photo above; replace plain jane milk in hot chocolate. 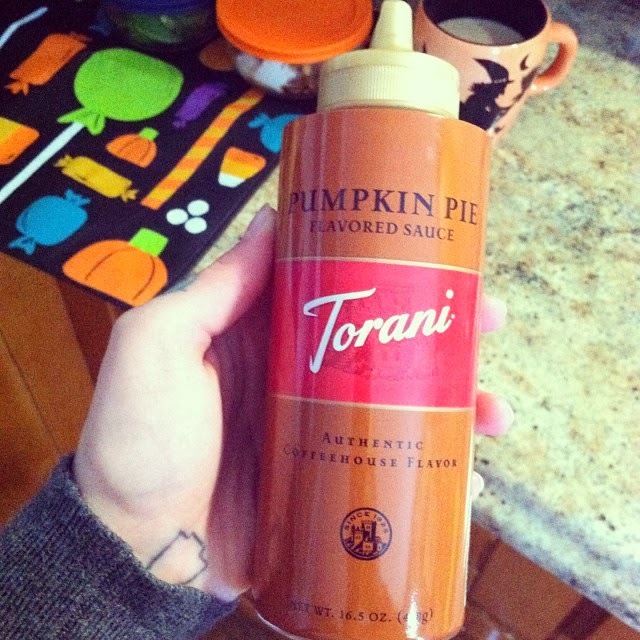 To be honest, I had such high hopes for the Pumpkin Spice Kahlua. Mixed with the nog it was okay, but on it's own, or in a mudslide, I don't think so. Boo! The nog on the other hand is fantastic. Pumpkin Caramel Macchiato from Starbucks, the perfect drink for Halloween! Found this last year at World Market, this year found at Walmart. 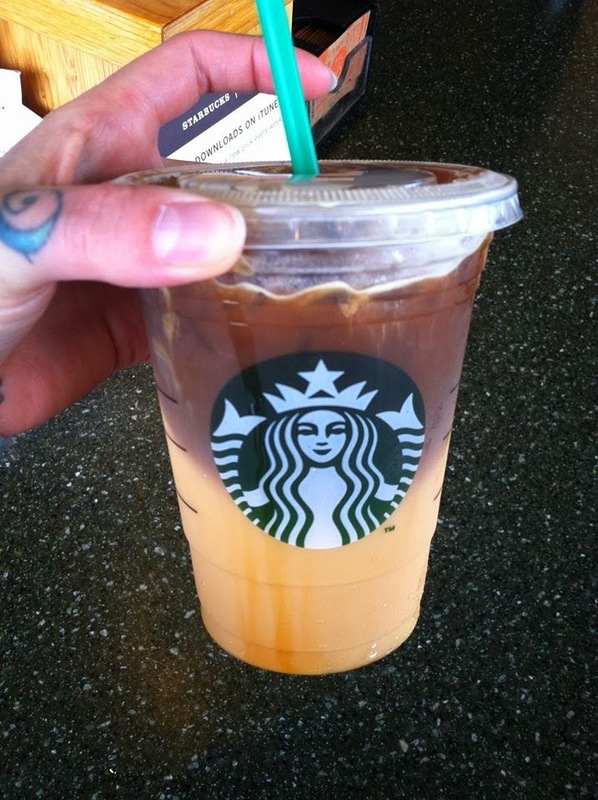 Just put a tiny bit into some black coffee and make your mouth happy. Whenever I take a photo of my hands holding something, It always looks like I'm giving whatever I'm holding the death grip. Little hand problems I guess? 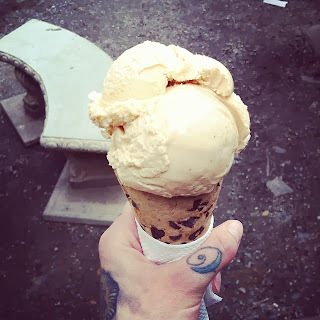 Pumpkin pie ice cream in a chocolate chip cookie cone. Doesn't get much better than this my friends.